You are here:Home » Category: "Boats"
Yachting Boating World: Renders of the new 25 metre Seafire sports yacht have just been released by the UK-based Gilmour Design. It will have a top speed of 60 knots. Many of us fantasise about the James Bond lifestyle – the adventures, the women and, of course, the stunning array of boats that 007 gets to experience. Now, the design for a new luxury sports yacht has just been released that could make this fantasy a reality! The new Seafire is inspired by the naval torpedo boat and the ever-growing demand for 1930 retro style design. Fitted with the latest technology and safety features, the high speed Seafire is intended to bring fun and excitement back into the world of yachting. It will have a top speed of 60 knots. According to Gilmour Design, the target audience for the avant garde high powered motor yacht are those who demand other retro style products “like expensive watches, classic cars and aircraft”. In keeping with its military styling, the Seafire will be individually numbered on the bow. 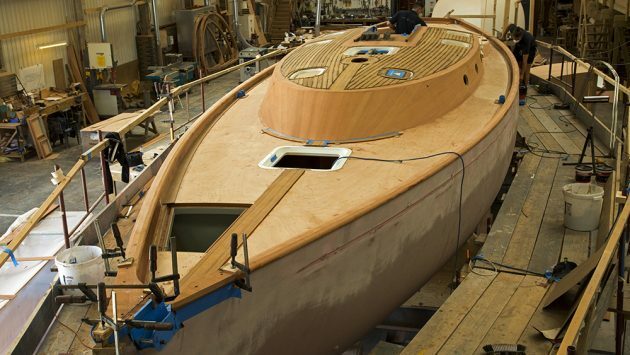 Each owner will be able to tailor their vessel inside and out to their specific requirements and tastes. Below deck, the living quarters can accommodate up to six guests and two crew members. “The indulged passions for fast cars and planes is beginning to re-emerge after years of repression and those who pursue a James Bond image and lifestyle will be the envy of bystanders in any marina,” continued Sedgley. Gilmour Design has completed the design and specification for the new Seafire, and it is currently tendering for the production of the first vessel. The build period is expected to take 24 months. This commission will be the first of a production series. Yachting Boating World: The Mercy is the title of a new film by director James Marsh. It follows the story of Donald Crowhurst and his attempt to win the Golden Globe Race. 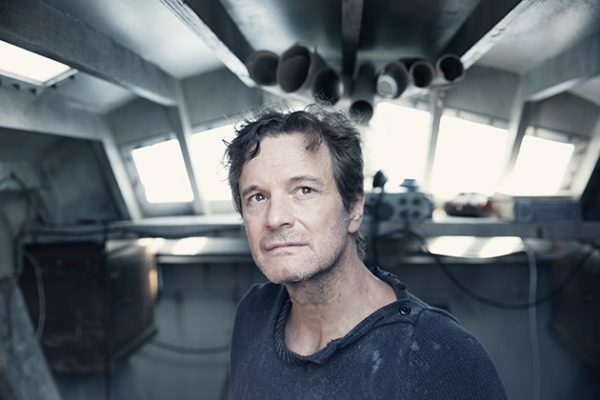 The Mercy stars the Oscar winning actors Colin Firth as amateur sailor, Donald Crowhurst and Rachel Weisz as his wife, Claire. He reported false positions in an attempt to appear to complete a circumnavigation without actually circling the world. Log book entries found after his disappearance suggest that Crowhurst was driven to the edge of insanity. His final entry, on 1 July 1969, was “It is finished. IT IS THE MERCY… I will resign the game.” The film title is a reference to this last entry. The Sunday Times Golden Globe Race was eventually run by Sir Robin Knox-Johnston. The Mercy was shot in Teignmouth last year, and it will be opening in UK cinemas on 6 January 2017. Yachting Boating World: The Russian designer, Max Zhivov came up with the MYBO modifiable yacht system while playing with his daughter. He talks to YBW about the concept. The Max Zhivov designed MYBO is essentially six boats in one. Each can be modified to meet the needs of the owner, whether the vessel is for carrying cargo, for fishing or just to spend time with the family. Meanwhile, the 47 metre Sky Ya is a semi-displacement hybrid motor yacht. It combines modern yacht design with the latest solar energy technology. 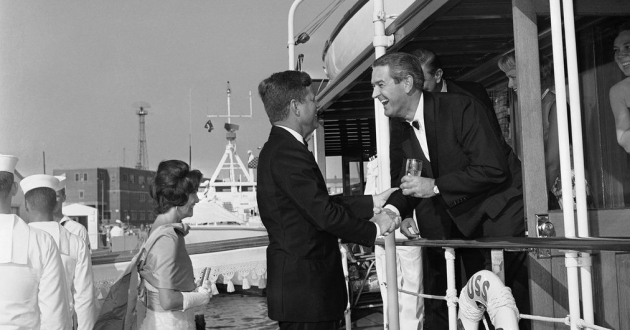 Yachting Boating World: A legal row over who should pay to repair the USS Sequoia, how much it will cost, and who will ultimately own the vessel is casting doubt on the future of the presidential yacht. The John Trumpy-designed yacht was subsequently sold and up until 2014, it was being used as a historic charter vessel on the Potomac River. But a row over the USS Sequoia means its future is in doubt. Since 2014, the yacht has been lain up in the Chesapeake Boat Works shipyard in Deltaville, Virginia while a contract dispute over a loan between the yacht’s owner, Sequoia Presidential Yacht Group LLC and FE Partners LLC is played out. 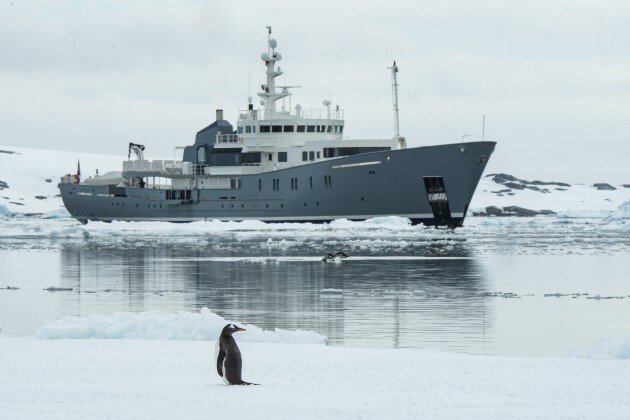 Yachting Boating World: A former fisheries protection vessel has now found a new lease of life exploring the polar regions as the luxury expedition yacht, Enigma XK. For more than a decade, the Enigma XK was used to protect the fishing grounds off Scotland. Originally called the Norna, the fisheries patrol vessel was built in 1987 by Richards Shipbuilders. After years of service, the vessel was decommissioned in 2010 and has now been turned into a luxury expedition yacht available for charter. With a study hull and a 5,000nm range, the Enigma XK offers luxury in some of the most inhospitable places in the world. It can be charted, through Eyos Expeditions, to far flung destinations such as the Northwest Passage and Antarctica. The superyacht’s refit took around two-and-a-half years from the first preliminary design until completion. The vessel’s exterior styling was done by Philippe Briand. It included the redesign of the profile with the addition of an owner’s suite forward, a helideck aft and a glass saloon in the middle. 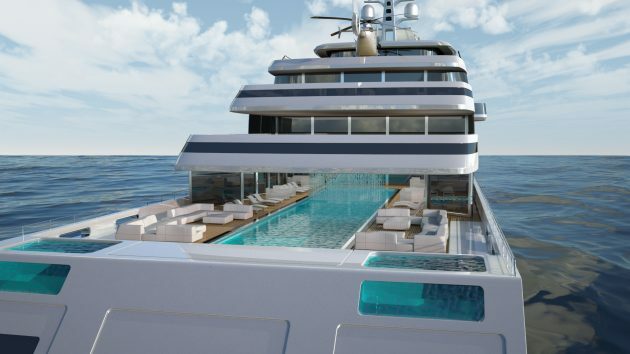 Inside, the yacht’s luxurious interior has been designed by Vitruvius. Up to 12 guests can be accommodated in a master suite, four double cabins and one twin cabin. The master suite is located just forward of the bridge, and boasts 180-degree views. The Enigma XK also comes with a wellness room, a fitness room and a 360° glass main salon, allowing guests to view the scenery in comfort. A small spa pool is located immediately aft of a protected alfresco dining area. Guests can be looked after by up to 19 crew onboard. 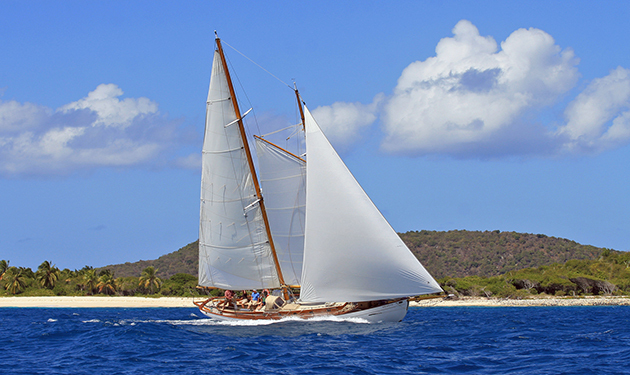 The yacht, which is equipped with fin stabilisers, has a cruising speed of 11 knots, a maximum speed of 18 knots. It is available for charter for 275,000 Euros per week plus expenses. Following the refit at the Atlantic Refit Center in La Rochelle in France, Enigma XK sailed down the west coast of Africa to Cape Town, before crossing the South Atlantic for a series of Antarctic expeditions. 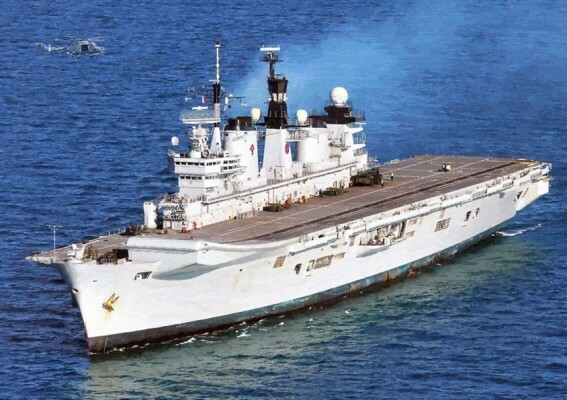 Yachting Boating World: Despite attempts to turn HMS Illustrious into a floating museum or attraction, the Ministry of Defence has now confirmed the warship will be sold “for recycling”. 13 May HMS Illustrious, which served in the Falklands War, Bosnia and the Gulf, has been put up for sale for scrap by the Ministry of Defence. The Disposal Services Authority (DSA) is inviting expressions of interest for the sale of the warship “for recycling”. The vessel is currently moored in Portsmouth Harbour after 32 years of active service. The announcement comes following several attempts to preserve the 22,000-tonne HMS Illustrious, which is affectionately known as ‘Lusty’. The last – selling the warship to Gibraltar as a maritime attraction – fell through last month because of the “prohibitive” maintenance cost of the aircraft carrier. The DSA said the sale could be discontinued should “a heritage option” become open. Bids for the warship must be in by 23 May with viewings in June. 12 April The HMS Illustrious Association is warning that the warship is at risk of becoming a ‘national embarrassment’ if action isn’t taken to secure the vessel’s future. 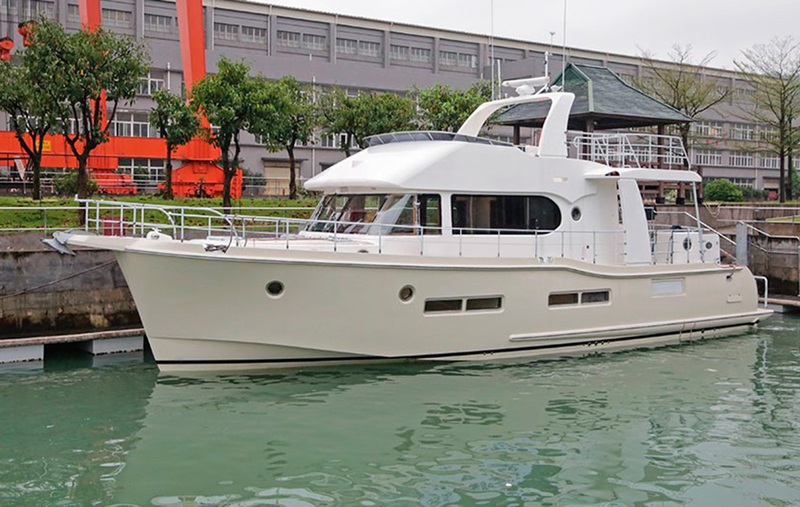 Motorboat & Yachting: The American yard has revealed images of its Nordhavn 59 Coastal Pilot after the new explorer yacht was completed and launched in China. 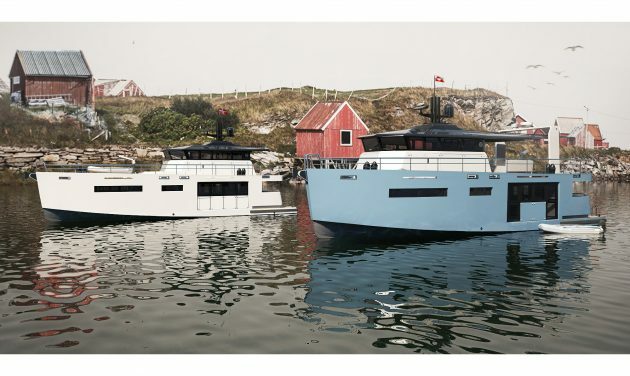 British buyers can import models through UK dealers Nordhavn Europe, who are based at Hamble Point.